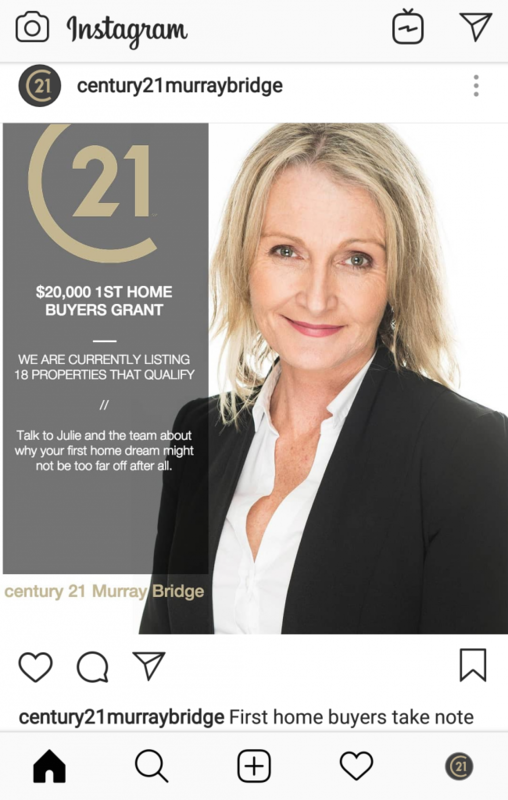 Instagram is built for real estate marketing. It’s highly visual, gets great local engagement, and continues to experience breakneck user growth. But in this piece I want to focus on Instagram’s supreme suitability for marketing to first home buyers. And it goes beyond the Instagram audience, which as we’ve covered before, features a serious female and under 30’s skew. 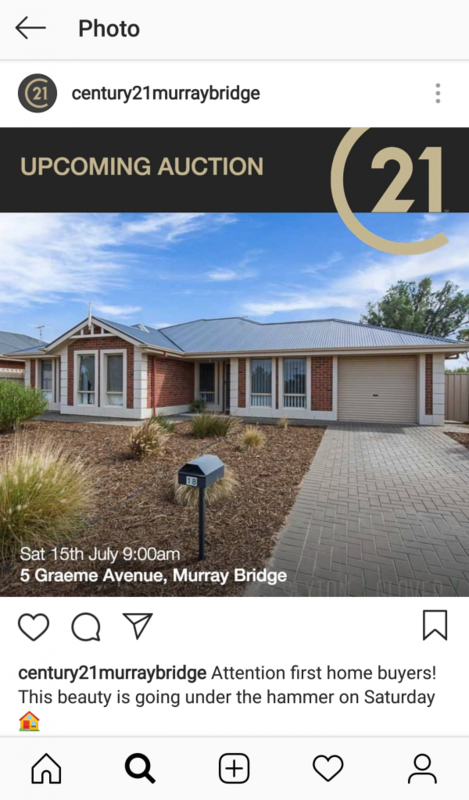 It’s about using specific Instagram features, combined with a savvy content plan, to appeal to first home buyers in a way that turns followers into firm leads. Before we jump into the specifics of an Instagram gameplan for first home buyers, lets touch on the fundamentals of the platform that make it so great for real estate marketing in the first place. First of all, Instagram revolves around visuals. Moreso than any other social platform, Instagram is all about leading with eye-catching photos and videos. And so it’s a natural fit for real estate, where all key marketing channels require heavily visual elements. 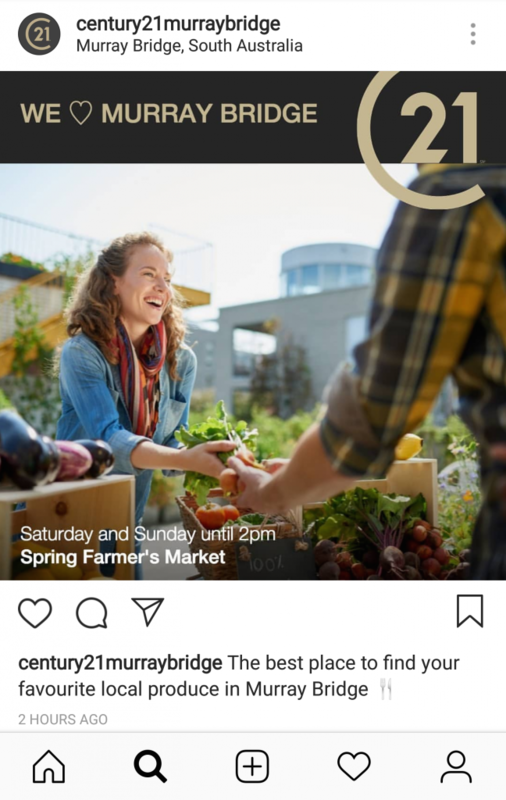 Real estate marketing and Instagram have been pulling in the same direction on this one for a while, with video playing an ever-increasing role. Instagram can support landscape and portrait video posts, ephemeral video content as part of Instagram Stories, and now IGTV – Instagram’s native video channel. Perfect for those drone-shot sweeps across your showcase property or video tours for out-of-state buyers. Content discovery is made easy on Instagram by searching on hashtags. Prospective buyers might be searching on #firsthome, #newlisting or #<yourarea>, but with hashtags you’ve got your bases covered. Using appropriate, common sense hashtags ensures the Instagram community will stumble across your latest listings. When users tag their post with their current location, they make it easy for other Instagram users to discover everything that’s going on in their local area. From food festivals, to beaches and bars and parks. And what better place to advertise a chance to live amongst such a great local scene! It’s for this reason geotags are amongst the top weapons in the real estate Instagram marketer’s arsenal. 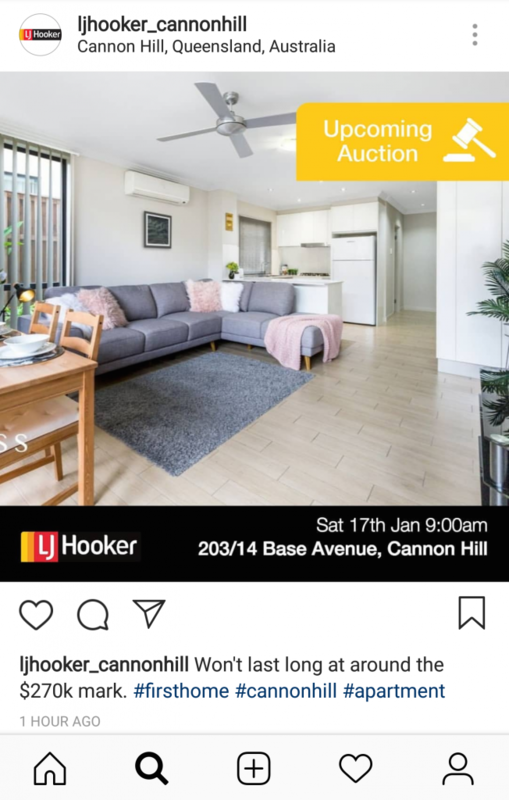 So what makes Instagram especially great for marketing to first home buyers? Initially it might seem the opposite is true. After all, aren’t first home buyers more likely to be looking at cheaper and less visually appealing properties? On the face of it, yes. But don’t let that discourage you because that’s just a small part of it (and it’s easy to get around). Let’s talk about the visual appeal of starter properties and implications for your Instagram strategy. When marketing less impressive properties it’s wise to feature less of the properties themselves, and more local attractions, lifestyle shots, and the emotive personal stories in the local real estate market. Local lifestyle, not just properties! A key pillar of your Instagram marketing strategy should be to sell followers on the area and not just the individual listings. Firstly, it will show your own passion and affection for your neighborhood. And that makes you immediately more likeable. And this helps engender trust and make you approachable. Share your love for the area through your lifestyle posts. It also helps sell the dream when your audience can’t afford to be shopping for their dream home. Secondly, it helps sell the lifestyle any potential buyer is getting when they follow up on any subsequent property listings. And that makes any property more attractive, but moreso for an entry-level doer upper! On an emotional level, there’s something very compelling with a young couple taking the keys of their first property. And while that’s as cliche as they come, the same could be said for a young guy who’s worked fly-in, fly-out for six years to afford his first home. Or a woman whose worked two jobs since she was a teenager to get herself a two-bed unit to call her own. The thing is, there’s a lot of power in all these stories. Don’t underestimate the role your agents and agency have played in such a life-changing landmark in these young lives. And don’t underestimate the power in taking these stories to Instagram. They show that you care, that you are trusted, and that you understand what’s at stake for every one of your clients. For the uninitiated, Instagram Stories is a feature within Instagram and a world unto itself. The stories themselves are ephemeral content that only lasts for 24 hours. It appears in a separate stream to regular posts across the top of the mobile browser and includes a bunch of playful visual effects to keep things interesting. And it’s this ‘see it now or lose it forever’ feature that’s perfect for creating the sort of urgency that first home-buying millenials respond to. 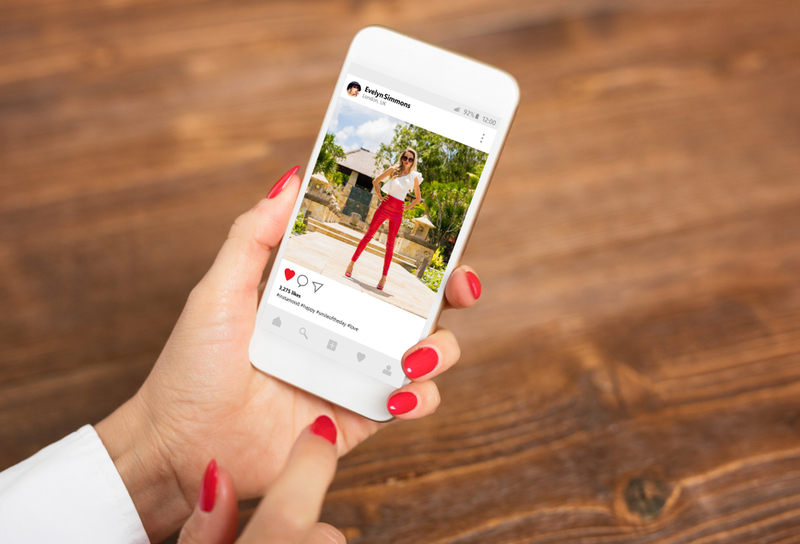 Whether it’s a ‘just listed’ feature property, an imminent ‘open for inspection’ or just announced tax break for first home buyers, chances are Instagram Stories is the right channel to get your younger followers to spring into action. Nearly always, your Instagram followers will comprise of renters, owners and prospective buyers. In fact you should be creating content that ensures this is the case. One of the benefits of this mixed following is that renters have the habit of becoming prospective buyers before they initially planned. They just need the right opportunity shoved under their nose. State and federal governments frequently have incentives and breaks for first home buyers. It might take the form of a stamp duty tax break, a first home buyers’ grant, or a local council rates concession. Be the local expert on buyer concessions and grants for first home buyers. The thing is, most young people have a seriously loose grip on what these rules and regulations are. See this as your opportunity to be a local expert and educate the market. Not only will you build trust and be known for your expertise, you’ll also create new sales leads as people realise that their affordability concerns may not be justified. That way followers are guaranteed to get the message, which makes it a far more persuasive sales communication. Set your objectives and lay out a monthly plan. Having a disciplined approach to targeting first home buyers on social media makes all the difference. While it’s beyond the scope of this article to go into detail around your social media plan, we’ll close with the basics of an Instagram first home buyer attack plan. You should shoot for 10 to 20 Instagram posts a month with a minimum of two Instagram Stories a week for good measure. That’s a minimum. It’s hard to overdo it with Instagram Stories given their temporary nature. Maintaining tone and tempo is critical to building a following and maintaining engagement, but aim for quality over quantity. Don’t post junk just to hit a target number of posts. Next, think through your mix of content. Remember, Instagram shouldn’t be a hard sell! Aim to have half your content be about local events, happenings and attractions. The remaining half should then be around client stories and featured properties. And that should include new listings, video tours, and local first home buyer incentives. Using this framework as your starting point, see what’s working and iterate from there. You’ll be able to have it dialled in within a few months, and can expect first home buyer leads to grow from there.